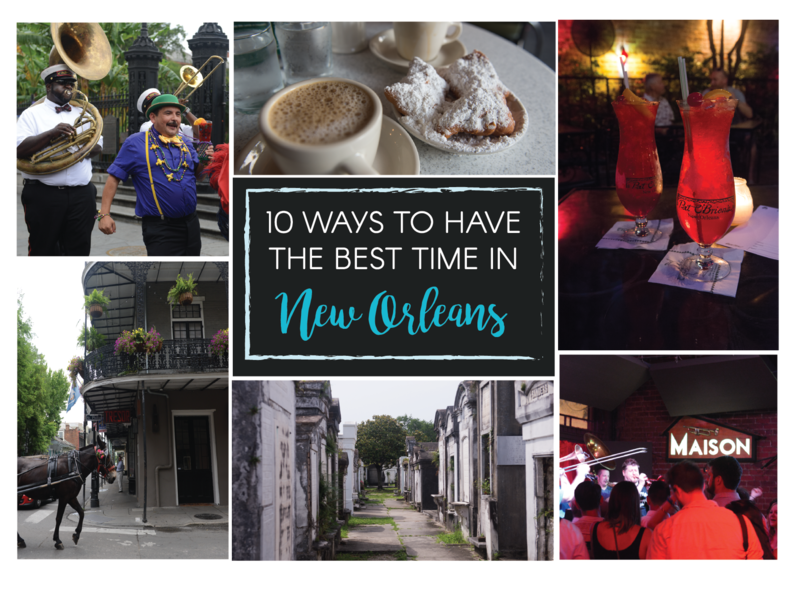 10 ways to have the best time in NOLA! – That's So Annie! A new project kickoff took the man to Baton Rouge, capital city of the southern state of Louisiana. 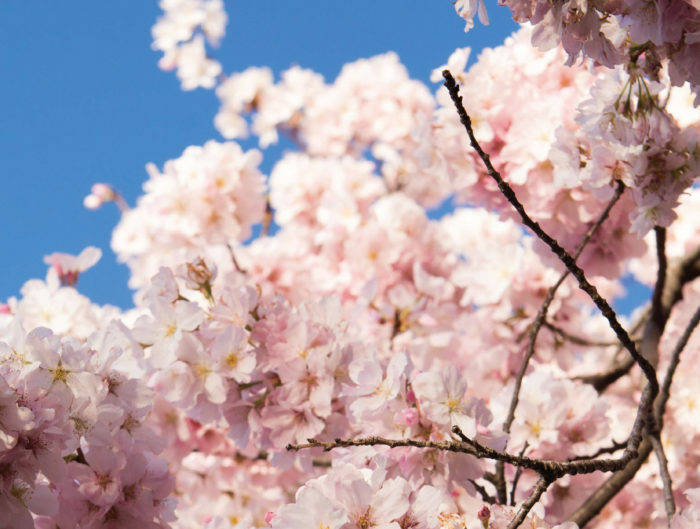 My options were spending time by myself in Princeton and New York City with nothing significant to do (well there was a round of musical chairs in Bryant Park, but the summer heat was bringing down my enthusiasm), or joining him instead down south. New Orleans had long been on my list of places to visit in USA, so I packed my bags and went along. To say it was incredible, would be an understatement. New Orleans (or NOLA) as the locals call it, was unlike any other city I have ever been too. I was instantly in love with it. There are many many things to do in NOLA, but here is a list of my top 10 things to do to have a memorable time in NOLA. I cannot talk enough about these – I think I left a piece of my heart in New Orleans just because of these scrumptious delicacies! 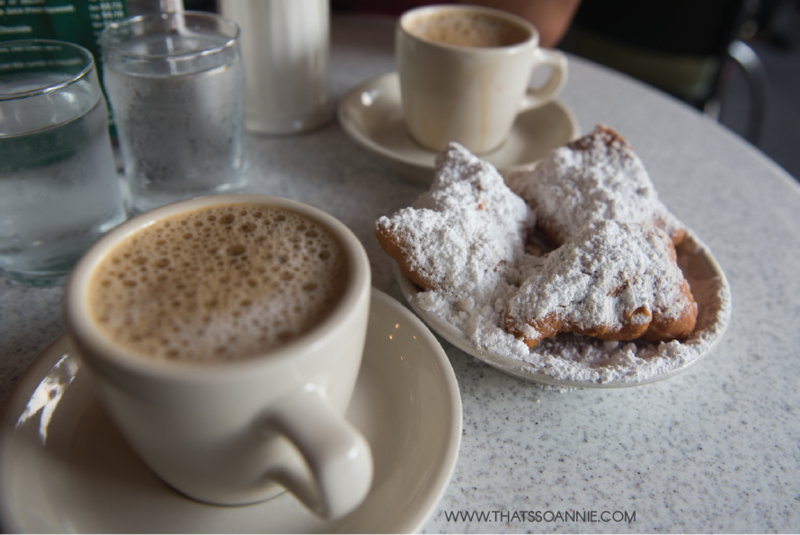 Head on over to the most iconic place to have beignets and coffee, Café Du Monde on Decatur Street, which is open 24/7 all year round except for Christmas Day. Another place to have these is the Morning Call Coffee Stand over at City Park. Mansions straight out of the 19th century, big sweeping oaks, wrought iron gates and gorgeous aristocratic porticos.. this sophisticated neighborhood deserves a walk around. Also located here is the famous Lafayette Cemetery #1, tours of which are available if you want to learn more about this necropolis. Why is this famous? 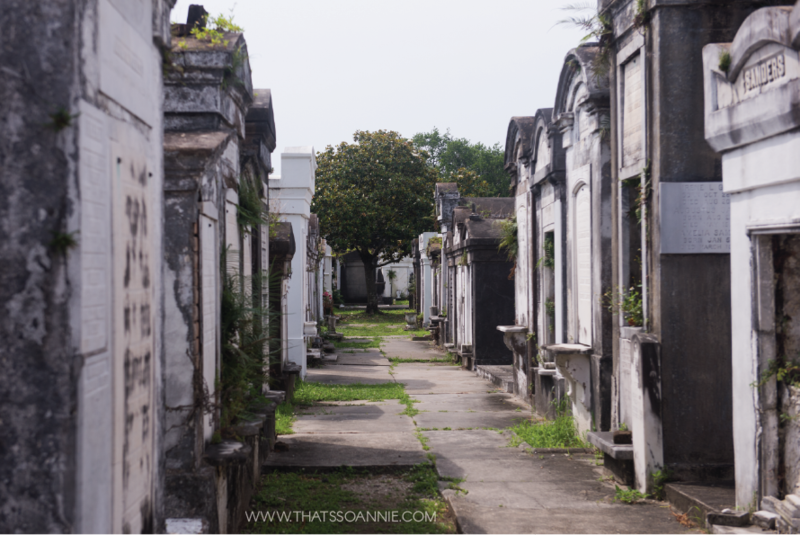 Because NOLA is built on a swamp, cemeteries here are elaborate works of art, with their stone mausoleums and crypts. Some of those buried here have been here for more than a century. A couple of recommendations to eat here: A local favorite is Commander’s Palace (remember, you need to dressed formally!). For dessert, hop on over to District Donuts, for donuts that I bet you will never forget. 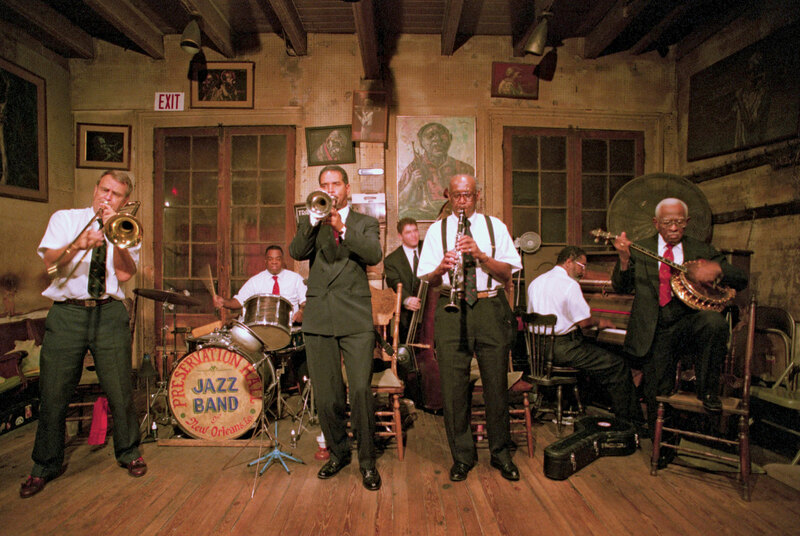 Jazz (or Dixieland, Hot Jazz or Original Jazz), was born right here in New Orleans at the beginning of the 20th century. The beautiful sound of trumpet, trombone and clarinet, will instantly take you back to the days of vintage glory. While you could settle down on pretty much any streets of NOLA to catch a bit of jazz, Preservation Hall is the mother hall to catch a performance of a lifetime. Established in 1961, this is a nondescript hall on St. Peter Street in the Quarter, lying smack in between the raucous energy of Bourbon Street and the elegance of Royal Street. It is a small room, preserved in its originality, dimly lit with a few rows of benches and space to stand at the back. Grab a hurricane from Pat O’Briens next door and get intimate with some of the most beautiful music in the world. Its an hour you are guaranteed to never forget. No visit to NOLA is complete without getting wasted on Bourbon Street. This is a colorful, vibrant, LOUD (and stinky!) street where every other person is drunk, no matter what time of the day. Personally, I found better places to explore in the French Quarter, but give this one a glimpse if you have the time. The hipper cousin of Bourbon Street, Frenchmen Street hosts the city’s thriving music scene. This is a historic neighborhood within walking distance from the French Quarter, and has some of the most bar-hopping worthy clubs in the city that draw renowned jazz bands and solo performers (and the odd drunk dancing tourist!). This streets vibe is fun and carefree, enthusiastic and mysterious, with people often dancing in the streets to a local live jazz band. Don’t forget to check out Maison, The Spotted Cat Music Club, d.b.a. and Blue Nile. A hidden gem on this street is the bookstore Faubourg Marigny Art and Books, simply known as FAB. This tiny shop on the corner of Frenchmen and Chartres Street, doesn’t even look like a bookstore, with windows plastered with flyers of drag shows and music events long past. But stepping inside is stepping into a whole new world. FAB is the oldest gay-owned bookstore in Southern USA, and was once a thriving icon of LGBTQ+ culture. Inside lie stacks upon stacks of LGBTQ+ literature, VHS tapes(!! ), postcards and albums, and odd memorabilia, that is definitely worth a visit. 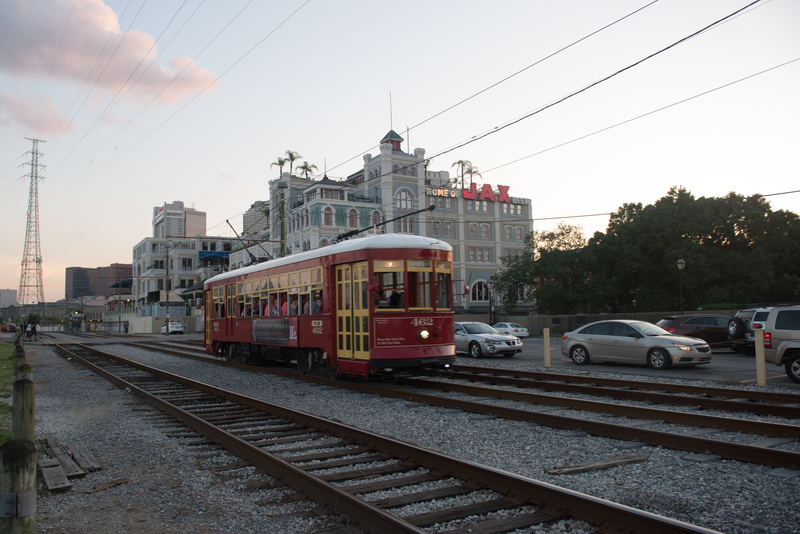 They say the best way to see NOLA is through the windows of a streetcar. I can vouch for just that. Best $3.00 I ever spent (thats all it takes for a day pass!). The French Quarter is the most happening section of of NOLA, and it comes alive at sundown, and turns into this whole different world. The picturesque balconies are the Quarters most distinguishing feature. Enjoy an evening of chaos in the Quarter, by dining in on one of the balconies to signature Cajun or Creole dishes. It can be pretty romantic! 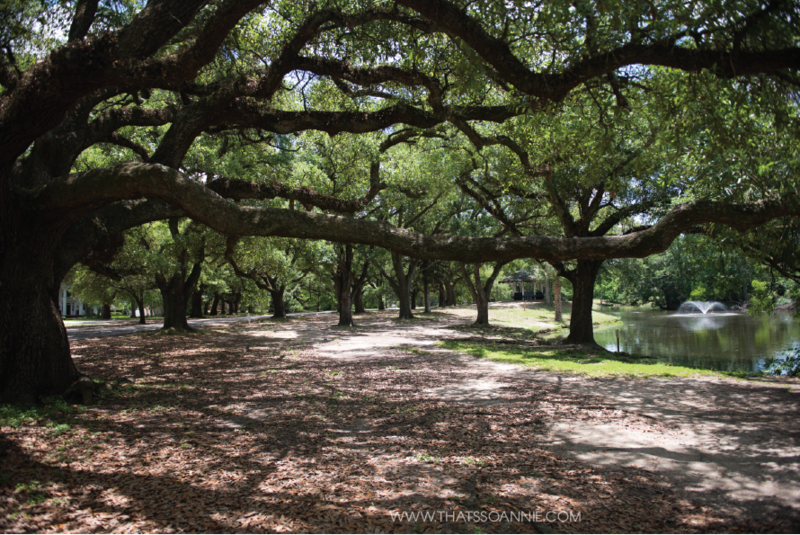 Exploring city parks and museums is one of the first things I do in every new place, and NOLA was no different. The two must visits are City Park and Audubon Park. The fact that City Park is 1.5 times of Central Park did not deter me, and I am glad I spent time exploring this place because it was HUGE, but oh so gorgeous. New Orleans Botanical Gardens are situated within City Park and I found a little alcove of a tropical rainforest in the middle of the park (complete with a bright yellow swing!). Perfect afternoon getaway for some journal writing huh? 10. DON’T LEAVE WITHOUT TRYING THE DELICIOUS LOCAL FOOD! Gumbo, a traditional Louisiana stew made of vegetables, seafood and meat, served hot over rice, is a crowd favorite. The first time I heard of it, was when I watched The Princess and The Frog (my favorite Disney princess of all time! ), and my immediate thought was that it looked a lot like Indian curry! Gumbo turned out to be lot less spicier, but it was lip-smackingly delicious. Definite must-try. Next on the must-try list are Po’boys, which are basically subway-like sandwiches, served over a baguette, and stuffed with meat or seafood layered with mayo and veggies. Popular places to get these are Erin Rose’s Killer Po’boys, Johnny’s Po’boys and Stanley’s. Seafood and oysters are NOLA favorites, and Royal House on Royal Street was one of our most memorable dinners. Last but definitely the best, was brunch at Café Amelie. This place was… breathtaking, and the food was beyond words. Situated in a gorgeous courtyard, this is the place with long lines, and reservations made ahead, because its THAT good. My server was Michael and he was just brilliant! Must-do on your NOLA food crawl.